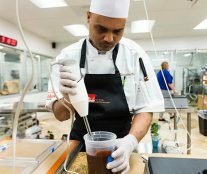 Five chocolatiers and executive pastry chefs from the United States competed for the AUI Chocolate Cup on June 4 and 5 at the AUI headquarters, near Washington D.C. After two intense days of competition, the victory went to Courtney Cormier, executive pastry chef Union League Philadelphia, who was rewarded with $5,000 and $500 in AUI Product. 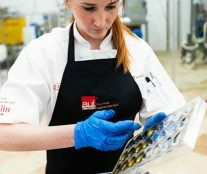 In the month of March, a non-affiliated Head Judge selected, among all the candidates, these five candidates based on blind tasting and recipe review. 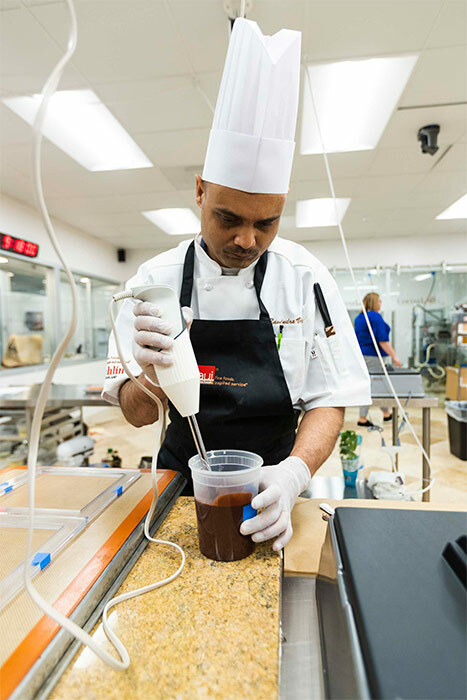 The requirements to participate were to be over 21 years old, to work in the United States, to have a minimum of five years professional experience, and to be currently employed as a professional chef/chocolatier. 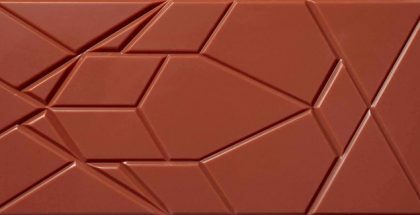 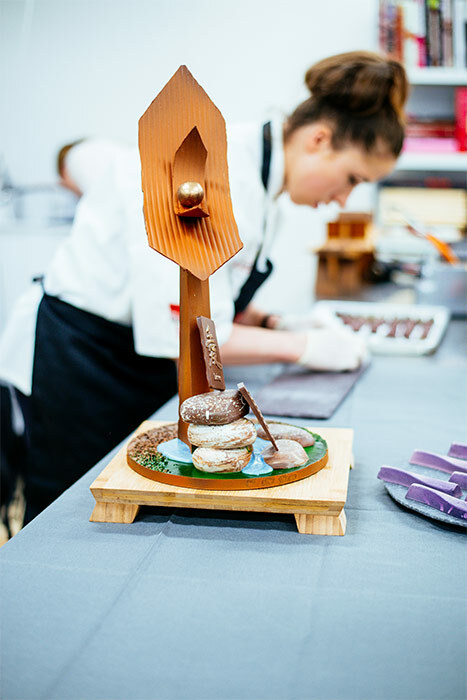 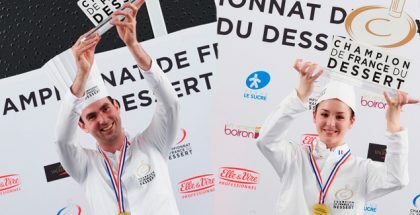 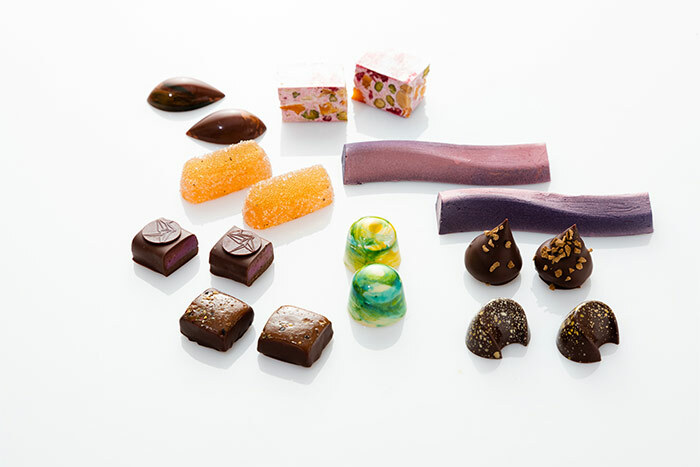 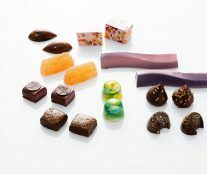 In the finale, the five chosen ones had to demonstrate their skills with chocolate with a large buffet consisting of 72 multi-layer molded bonbons (3 flavors, 24 of each), 48 hand-dipped bonbons (2 flavors, 24 of each), 72 confections (3 flavors, 24 of each), 12 candy bars weighing no more than 75 grams, and a display to present the buffet that must include one edible chocolate display piece no larger than 18×24 inches. 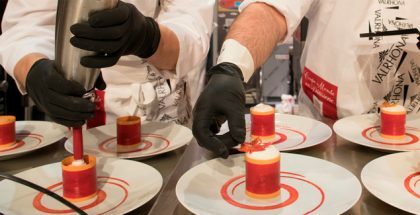 As an aspect to be highlighted, many of the pieces were inspired by Japanese flavors and included ingredients such as sesame haiku, miso carrot bonbon, peach melba nougat, yuzu yogurt Whirlpool, among others. 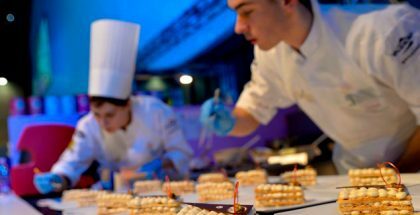 The panel of judges, consisting of pastry chefs and chocolatiers Sylvain Bortolini, Jin Caldwell, Christopher Elbow, and Michael Klug, had to assess the creativity, technique, workmanship and overall quality of the finished products. 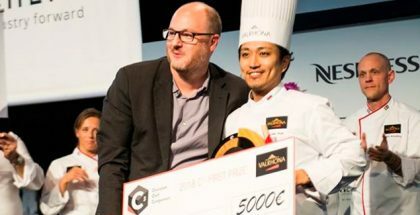 Very satisfied with the high level of all participants, they decided to award the first prize to Courtney Comier, the second prize ($3,000 Cash, $ 250 in AUI Product) went to Alina Muratova (Washington State Convention Center – Executive Pastry Chef Seattle, WA), and the third prize ($2,000 Cash, $ 150 AUI Product) to Ravindra Verma (Executive Pastry Chef of the Ritz Carlton, New Orleans). 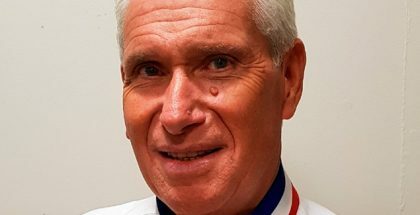 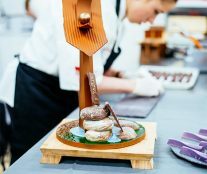 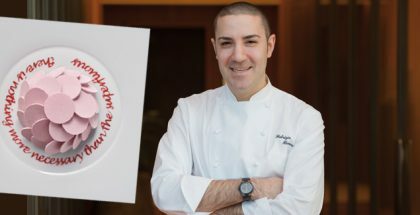 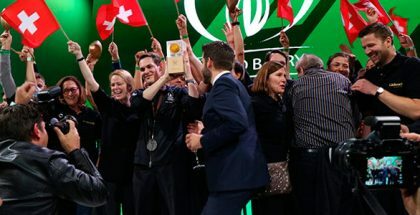 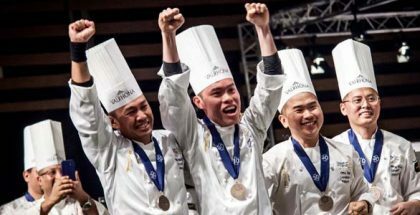 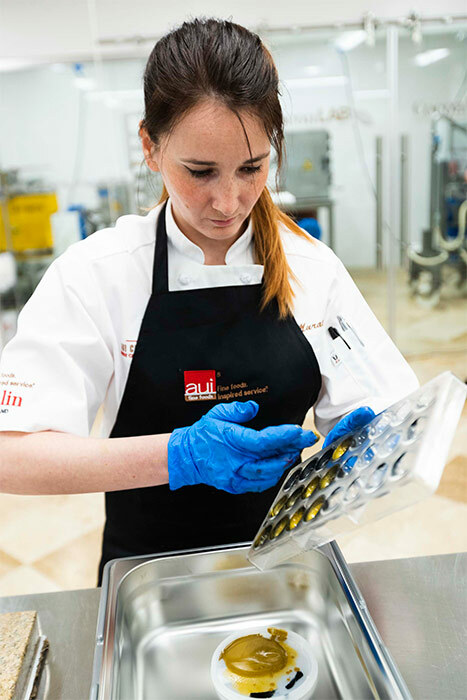 After the success of the last two editions of the AUI Pastry Cup, the organizer and ingredients specialist for pastry chefs proposes a new contest with which to show the great dynamism and talent that the profession is experiencing today. 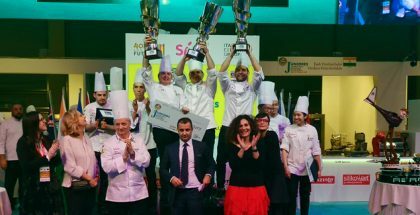 Both competitions, AUI Chocolate Cup and AUI Pastry Cup, will be held on alternate years.